Often considered the poorer cousin of the illustrious lychee, the longan is very popular in its own right. 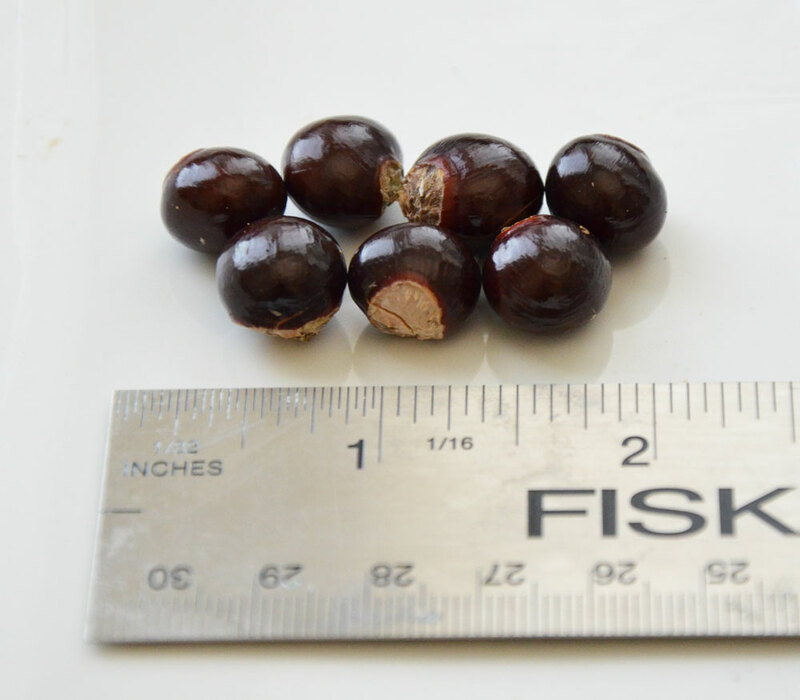 Fruits vary in size, but are usually about the size of a very large grape. The thin yellow-brown skin encloses a translucent white pulp surrounding a single dark seed, hence the name "Dragon's Eye." Seeds have limited viability and cannot be dried or stored for very long. We usually have fresh seeds available on and off from July-September. 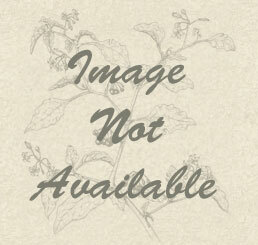 A link to a store order page will appear here if seeds are available. A small to medium sized tree that can reach 40 ft. Trees will fully bloom after about three months of cool winter temperatures during which period tree go dormant, and suffer when winters are too warm. 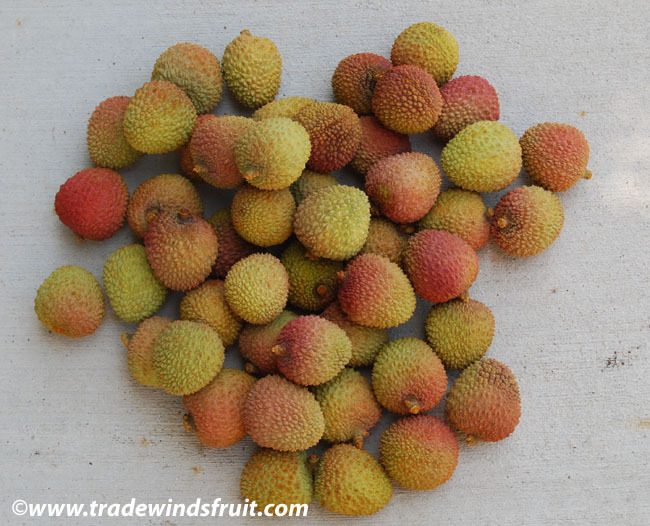 Many longan varieties follow a fruiting cycle whereby a good crop year is followed by 1-2 or more bad years. Some commercial varieties have been developed that fruit on a more regular basis. The longan is mildly hardy, and can survive brief temperature drops to 25-30F. However, it grows best in a warm subtropical climate. 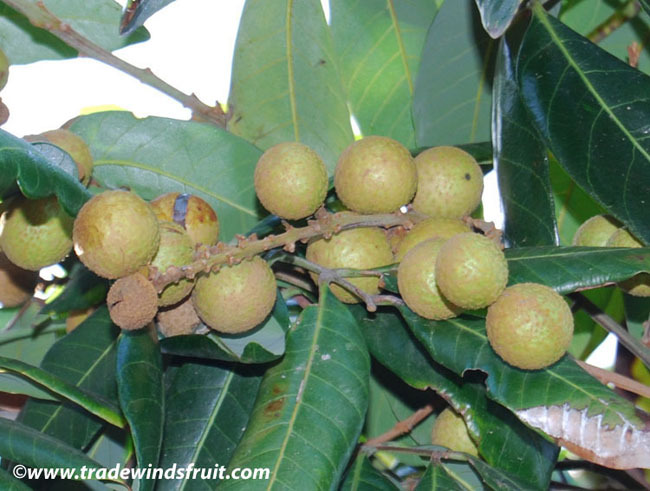 Longan's are successfully grown from Central to South Florida, as well as Southern California. 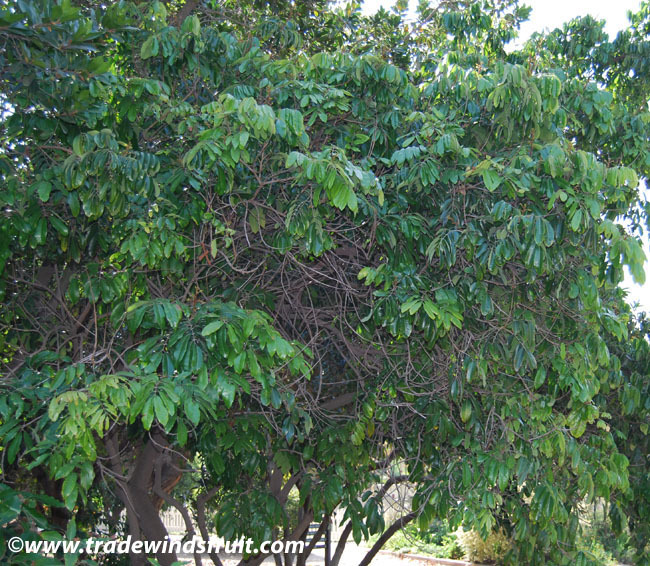 Longan trees respond favorably to lots of irrigation, and can stand brief periods of flooding. They do not stand drought. Often by seeds, which will lose viability within a week or two. Commercial varieties are usually propagated by air-layering. 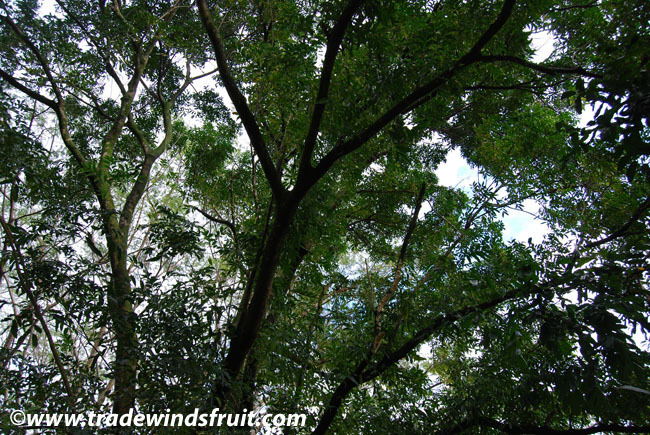 Air-layered trees can fruit within 2-3 years as compared to seedling grown trees which take 5-10 years to fruit. Usually eaten fresh. 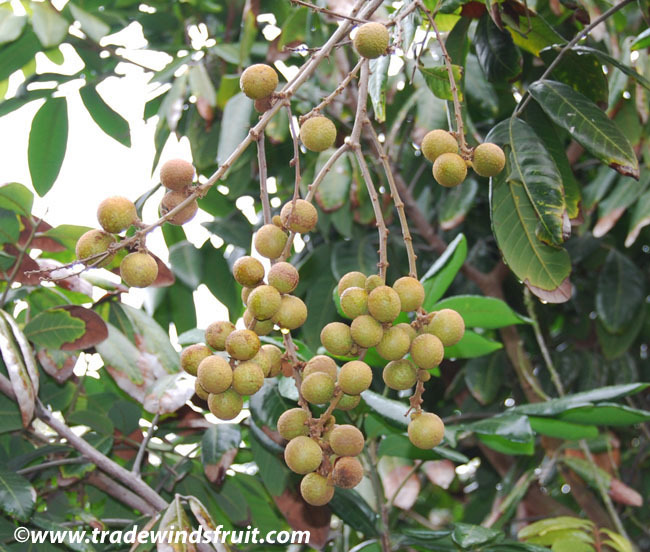 Longan's constitute a main ingredient in a variety of desserts and can made into a liqueur. Native to Southern China, usually growing at 500-1500 ft above sea level.